The Russian Orthodox Monastery of Saint Mary Magdalene, located in Tiberias (Northern Israel) on the shores of the Sea of Galilee, has lost part of its land because the Israeli authorities have decided to develop a recreation area there. 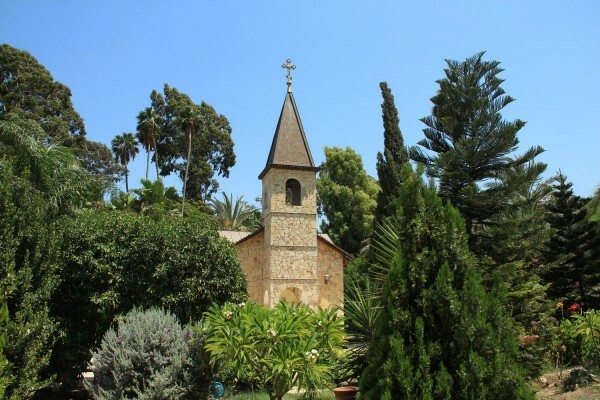 This monastery is located close to Magdala (modern Migdal), the town where Saint Mary Magdalene was born and the place where, according to tradition, Christ would have expelled the seven demons who were in her. On this land, acquired in 1908 by Archimandrite Leonid Sentsov, then the director of the Russian mission in the Holy Land, Orthodox monks built a small church in the 1960’s. The garden also has warm springs withe therapeutic properties. According to the Russian news agency Interfax, residents of the area regularly destroy the property’s fence despite a sign reading “Private Property”, in order to swim in the hot springs and hold barbecues, leaving behind trash and unextinguished fires. Local media even announced that a free beach was opened on the grounds. Celebrities visit the beach on holidays, loud music is played, and visitors behave in a manner that bothers the monks. In order to prevent people from Tiberias from performing Jewish rites in the monastery basins, the mission’s monks put crucifix mosaics in them, but unknown people dismantled them and stole the tiles. French original in La Croix here (paywall) or here.